Jason met Milnsbridge business folk to discuss ongoing issues with the bridge works which are affecting trade. 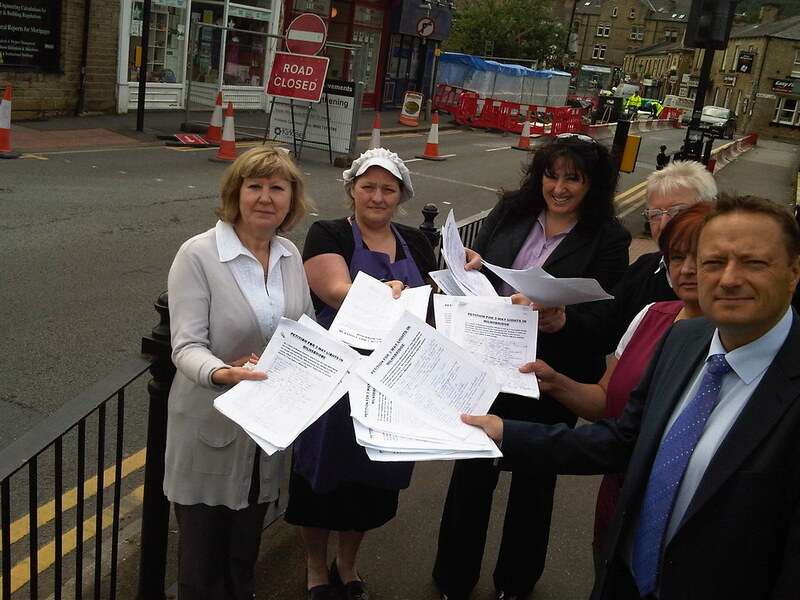 Local traders have collected over 1,000 names on a petition asking the Council for more help. The contractors need to complete the works as quickly as possible, signs need to go up saying “Local Businesses are Open” and the temporary traffic lights need to be looked at to allow better flows of passing trade.